Please contact us using the email below or by phone with any comments or questions. OEC experts are available to participate in panel discussions and forums, for interviews, and to give a live or online presentations on a variety of topics. The OEC offices are half way down the block on the right on the second story of the sage green building. Parking is available along the side of the building. 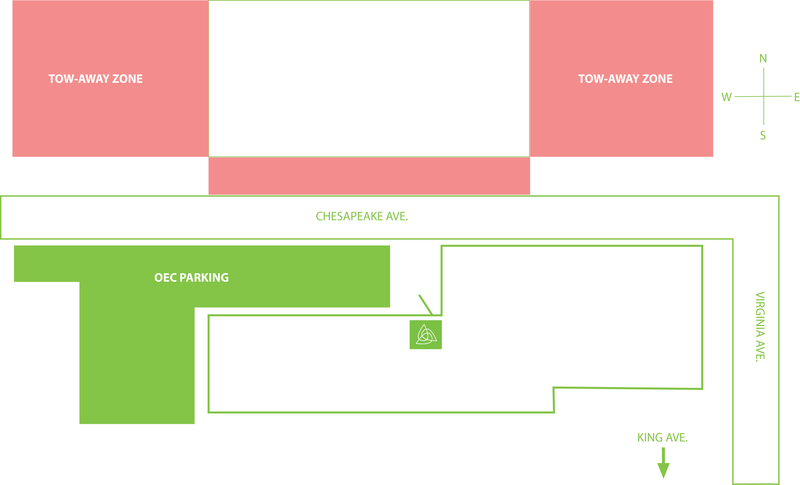 Visitors to the OEC are permitted to park in spots labeled Chesapeake Warehouse Parking Only.